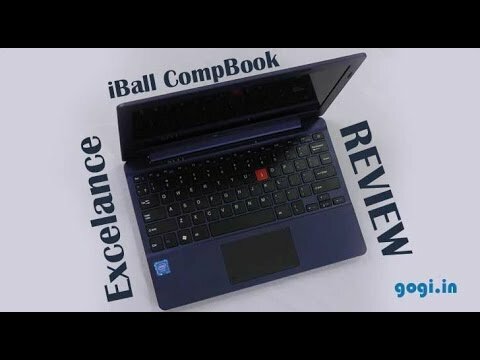 If you own iBall CompBook Excelance, please do leave your feedback too. The iBall CompBook Excelance comes with a 11.6-inch HD screen. It sports a resolution of 1366 x 768 pixels. For video calling needs, there is a 0.3 MP webcam located on the top bezel. A headphone and microphone jack lets you insert any audio accessories. The iBall CompBook Excelance runs on an Intel Atom processor with a clock speed of 1.83 GHz. It is coupled with 2GB DDR3 RAM to enable smooth multi-tasking. There is an eMMC storage type with 32GB capacity and 64GB in form of Solid State Drive. The hardware gives an uninterrupted smooth performance. This laptop runs on the latest Windows 10 operating system. The iBall CompBook Excelance is powered by a 10,000 mAh non-removable battery. Under normal usage, it lasts up to 8.5 hrs. It has one USB 2.0 port for data transfers and one HDMI port to connect to other devices. The device supports SD media cards. As for connectivity, there is Bluetooth v4.0 and WiFi for connecting wirelessly to the internet. The dimensions of this laptop are 11.45 x 7.99 x 0.94 inches and the weight is 1.09 kg. The device ships in Black color and comes with a 1 year warranty from the date of purchase.